Whether you have purchased a new home or are living in an older home, you may have tiles that you no longer find attractive. Paying for new tiles and installation often requires a large budget and disruptive demolition. Cover ugly floor tiles instead for an easy, inexpensive new look for your home. Cover ugly floor tile with rugs. Place several throw rugs around the room or cover up as many tiles as possible with one large area rug. Position floor mats at entryways. Paint over the tile. Paint the tiles only or both the tile and grout. Use a paint designed for use on your tile material. 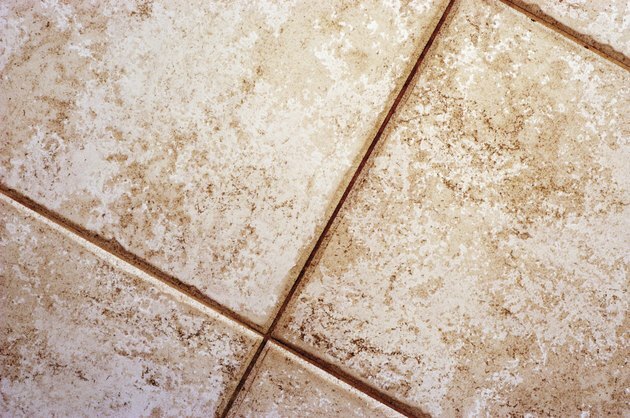 If you are uncertain as to what type of tile you have, take a photo of the floor and visit your local hardware or home improvement store. Show one of the associates the photo and she can assist you in choosing the correct type of paint.